Each month this year, I am going to try and show case one of my older series. For those of you that have been reading me for a while, you have probably read these series. But then again…..hidden gems are all over. Just have to look. This month I am showcasing The Divinities series. And today I’m sharing an excerpt from Book 1: Forgotten Visions. I hope you enjoy. She rushed to her dresser, picked up her phone with shaky hands, and dialed her mother’s cell. No answer. With blurred sight, she tried her father’s … it went straight to voice mail. Kalissa’s dread cut through her soul and the bile taste of fear rose in her throat, as hot tears slid down her cheek. Gods No! She dialed again, and again. Still nothing. It wasn’t like them to ignore an incoming call. Her parents had driven into Jacksonville for a quiet dinner to celebrate their fiftieth wedding anniversary before sharing their milestone with the coven in the upcoming days. They should have been on their way home. She staggered back a few steps as images flashed in her mind’s eye, sucking her into the vision. One minute she was in her bedroom, in the next, she stood on the side of a highway. A royal-blue Mercedes barreled past her and flipped repeatedly across the median into oncoming traffic on Interstate 10. Crunching metal cut through the stillness of the night and the broken glass, littering the ground, left a trail to where the car slammed into a large oak tree, and stopped. A cool sensation passed over Kalissa Bradenton’s subconscious as she entered her bedroom. She shivered, suddenly finding it hard to breathe. Abandonment rose from deep inside to coil around her like a cold watery current. Panic and fear raced in her veins as her heart rate increased alarmingly. Her intuition screamed something was wrong. When the vision cut off, tightness gripped her chest painfully and a lump stuck in her throat. Kalissa ran down the stairs and grabbed her car keys off the small table next to the door. She turned and met Khloe’s watery teal-colored eyes. They didn’t need to speak out loud. Being magical twins, they shared a psychic bond. The words the other thought lingered between them. Mom and Dad had an accident. The tears threatening to spill over Khloe’s eyelids said she already knew. Instant loss and painful sorrow passed between them. Their Divinity link with their parents cut off, like someone flipped a switch, leaving behind a cold and empty space in their hearts. 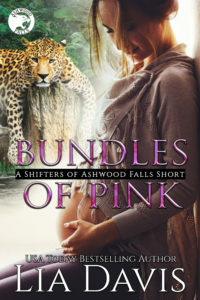 A blast of frigid air slapped at Kalissa’s face as she stepped into the frozen January night. Ignoring the icy bite of wind against her skin, she rushed to her car parked a few feet from the front door. They climbed into the Audi, pulled out of their driveway, and hurried down their street toward the highway as fast as she could safely. A mile down the Interstate, her heart sank at the scene in front of her. Their parents’ car sat half-wrapped around a tree on the side of the road. It was two in the morning and a few cars had stopped along the shoulder. Beams of headlights cut through the darkness. Concerned citizens stood observing the scene in amazement and horror. Kalissa parked her car on the shoulder, laid her forehead on top of the steering wheel, and closed her eyes. With deep ragged breaths, she called to her Divinity gift of visions. Images of the accident replayed in her mind, this time with more detail. A man stepped onto the dark highway, illuminated by the headlights of her parents’ Mercedes. The wind blew his long black hair behind him and wrapped the hem of his trench coat around his legs. Startled, her father hit the brakes hard, but they refused to work. He jerked the wheel to the left, hit an icy patch at the edge of the grassy median, and sent the car into a spin. Panic assailed him and he overcorrected. The car slid through the median, hit a dip, and then flipped repeatedly into the oncoming lanes until it hit the large oak. Her parents died on impact.